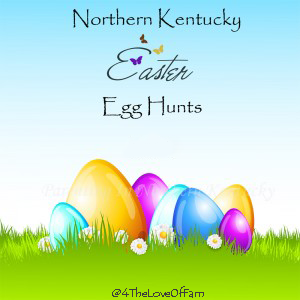 Looking for a local Easter Egg Hunt in Northern Kentucky? There are quite a few in the area and we have listed many of them for you below. Please confirm all information with event websites. Do you know of one we missed? Comment below and we’ll be sure to add it. Saturday, April 20 @ 12:00-? ?